The Config tab allows administrators (“admins”), users with Admin-level privileges) to set parameters that act as defaults for the server, such as channel names, user permissions, and network configuration. To change any of these settings for the server, click on the applicable link. To return to the Config page from any of the screens, click on the Config tab. Users with User-level privileges are limited to some User Management functions and viewing the UI version information. Note: The configuration options will vary, depending on your system and your level of permissions. 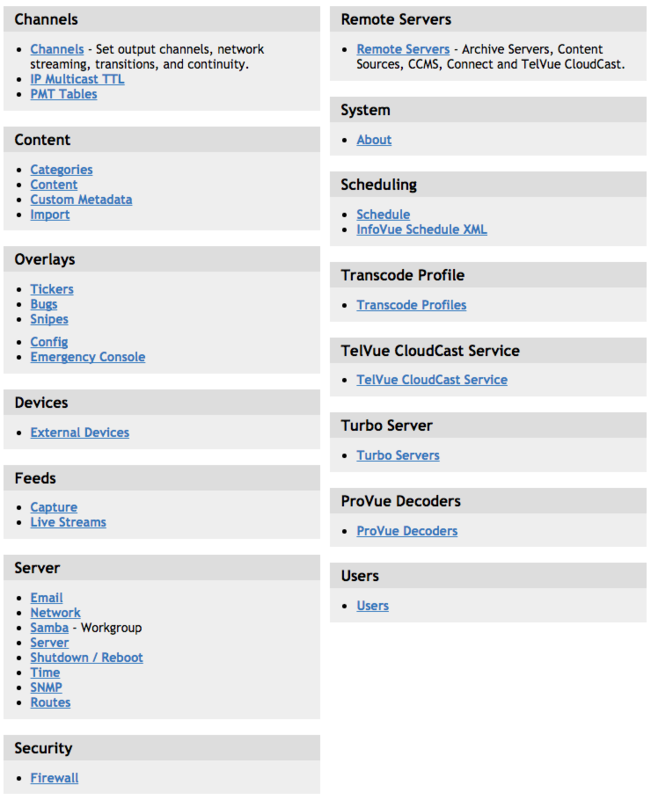 For instance, users of a HyperCaster-SDI will see a ProVue configuration box. Administrators will see more options than users. Here is a typical Config screen for someone with user privileges.